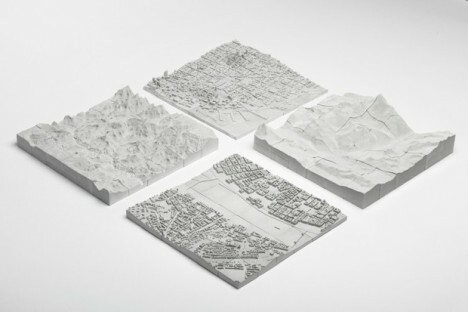 Pick any spot in the world and this company can print out a custom mould for a concrete pour, which, when cured, will make a 16- or 32-piece puzzle out of your favorite place. Using Open Street Map data, Logiplaces has already created a preliminary set of popular places voted up by fans for mass production, including downtown San Francisco and the Grand Canyon. Liked a traditional puzzle, the sides of each piece can be matched up to create the whole, but unlike most puzzles, it is the vertical rather than the horizontal shapes that allow for matching. 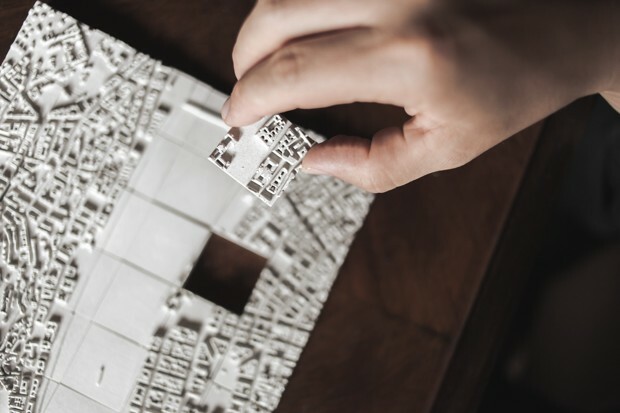 It becomes a matter of figure and ground, connecting building scales and typographies rather than colors and 2D patterns.